**IMPORTANT PLEASE NOTE: SUPERWATER.COM IS AN AUTHORIZED OASIS DEALER FOR OVER 20+ YEARS. ***ALL OASIS ITEMS SHIP DIRECT FROM OASIS WITH COMPLETE WARRANTY COVERAGE AND INSURANCE THAT IS ADDED POST SALE. **Freight Shipping and Insurance costs are $85.00 Per Single Unit Order, this cost is "ADDED POST SALE", Per Oasis Cooler Order, and is applied PER UNIT ORDER. Discounted Max Shipping Fees Cap at $150.00 for Freight Shipping ( 2+ Units ). Questions?.....Please call Us. NOTE 2: You can Upgrade your order to include a High Quality Filter Systems, with the Model Options Above. ***If you have any questions in regards to Freight Shipping and or our Freight shipping fees, please feel free to contact us anytime. ***WE ARE AN AUTHORIZED OASIS DEALER w/ OVER 20+ YEARS EXPERIENCE. Please call us with any questions you may have. Superwater.com Proudly Offers The Onyx / New Aquarius CT Countertop Systems with our own Special Everpure 4C 3000 gallon filtration system for $135 more, complete with fittings and tubing. 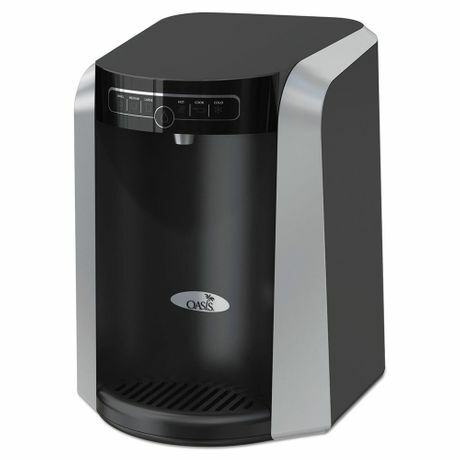 The Onyx / New POU1ACTHSK Aquarius Countertop Point-of-Use Water Cooler Series provide modern, high performance water coolers that allow ideal water temperatures right when you need it. Enjoy the convenience of adjustable hot and cold water in the office or at home. All models are deisgned with the most sophisticated technology to deliver safe, great tasting water every time! - Stylish, contemporary, and sturdy design. - Push-Fit no-tool water line connection for 1/4" water lines. - High capacity stainless steel cold water reservoir. 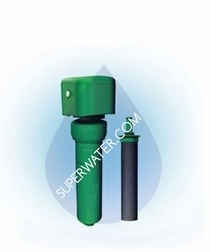 - One piece hot tank for piping hot water. - Hot 'N Cold integrated electironic buttons with safety release on the hot water tap. - Adjustable hot or cold temperatures. LED power "dot" in the faceplate shows that the unit is functioning. - LED spotlight illuminates the dispensing area. Removable drip tray is dishwasher safe. - ABS plastic front panel and top with metal side panels. - Convenient handles on side panels enable easy transport and placement. - Available in Hot N� Cold� Model Only. - pacity: HOT - 40 x 6 oz cups of piping hot water per hour. 1 1/2 quart storage tank.